Cambridge, in many ways, is synonymous with education. Home to both Harvard University and the Massachusetts Institute of Technology as well as a number of private secondary schools, this neighborhood has long been home for well-to-do students. This welcoming environment makes it perfect for those wishing to live close to the heart of Boston while still retaining a college town charm all its own. The history of Cambridge is very much tied in with the history of its schools. 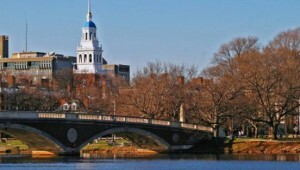 Founded in 1630, “Newe Towne” (as it was then known) saw the development of Harvard College in 1636 shortly thereafter. The neighborhood grew around the College after that, developing into an agricultural village and outlying estates. Like South Boston across the city, Cambridge hosted a battery of cannons during Washington’s efforts to drive the British out of Boston. The mid-1800s saw the rise of Cambridge in the literary world as the home of the Fireside Poets (Henry Wadsworth Longfellow, James Russell Lowell, and Oliver Wendell Holmes). Subsequent transit development, however, enabled Cambridge to develop a strong industrial base up until the Great Depression. After World War II, Cambridge focused on becoming an intellectual center once again, resulting in the neighborhood’s popularity for innovative high technology start-ups in the latter half of the 20th century. The industrial and technological buildups of the neighborhood inevitably required urbanization, with much of the later development . Regardless, many historical buildings in Cambridge remain even to this day, ranging in style from Georgian, Romanesque, High Victorian Gothic, and Richardsonian Romanesque.